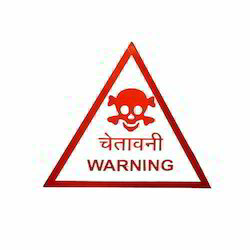 Our product range includes a wide range of danger sign boards and safety sign boards. We are one-step ahead of our competitors in offering a wide range of Danger Sign Boards. These are manufactured from first grade raw materials and using advance technologies. Owing to its unmatched quality and reliability, these products are extensively recommended by various numbers of clients. We ensure longer service life and weather resistance of these Danger Sign Boards. 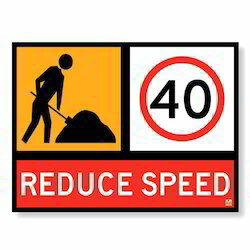 We are engaged in offering a wide range of Safety Sign Boards. These are applauded for their application specific design and eye-catching appearance. Following the precise demands of clients, we offer these boards in various attractive color combinations and range. Our products are manufactured from top quality raw materials and acclaimed for weather resistance.